P.9 A student engages with a wide range of texts to develop a considered and informed personal response. P.14 A student reflects on own processes of learning of English. List five points of information about Indigenous culture given in the video clip. Discuss the aspects of Indigenous cultural life shown in the video clip And how they differ from your life. What are your reactions to the video clip — do you admire the traditional lifestyle shown? Is it sustainable (able to be continued)? Give reasons for your answer. Imagine that you are part of the film crew. List any special ethical (respect and rules of conduct concerning societies and cultures) considerations that you think would need to be observed? For example, what might happen if you left behind examples of non-traditional technology, such as metal knives? Or if you arranged for plane food drops? 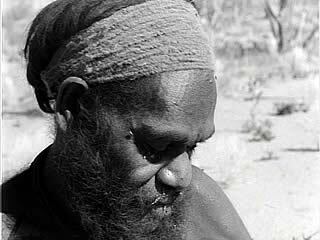 Imagine that you have been asked to develop a museum display on the Gibson Desert people, and that this video clip is the only evidence that you have of that culture. Write 50-word captions for each artefact or object. In 25 words or less, write the overall messages you want your display to convey to viewers.